“Alternative gifts” i.e. gifts where the tangible benefits go to someone other than the gift recipient. The gift to the recipient is the blessing that goes with the knowledge that they are helping where there is great need. Such gifts can be arranged on your behalf at any time of year and so are good for the likes of birthdays as well as Christmas. You choose what you would like to buy and we arrange for it to be given to someone in the AGLMUK programme. We can supply a card explaining the gift. 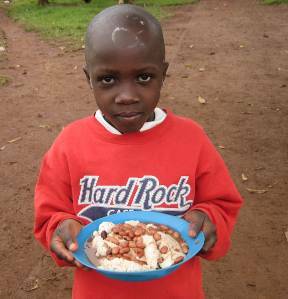 £10 feeds a child for a month – funds for this are urgently needed. School is great—but so is the need for exercise books, text books, pens and pencils. 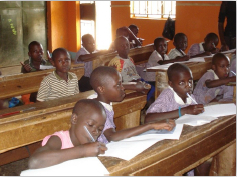 We take shoes for granted but they are often not worn in Uganda until they become a requirement for attending school. 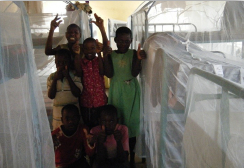 We also have to replace mosquito nets regularly and need more trunks in which personal items and clothes can be stored. Demand for medicines and attention from the nurse is always high with 250 children living in close proximity to each other. There are more children coming through primary school and hoping to receive secondary education – something that can only be achieved through sponsorship. If you are able to give regularly to either school, training or food please contact us.